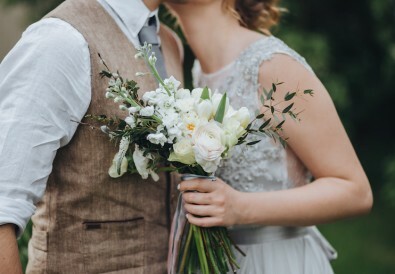 The soft flowy movement we get from fringes totally make me fall in love with it again. The dangling frills adorn the hems, bags, top, jackets..you name it. It can look fabulous on any piece in your wardrobe. A little tight on the budget? And yet wanna own a fringe once and for all? 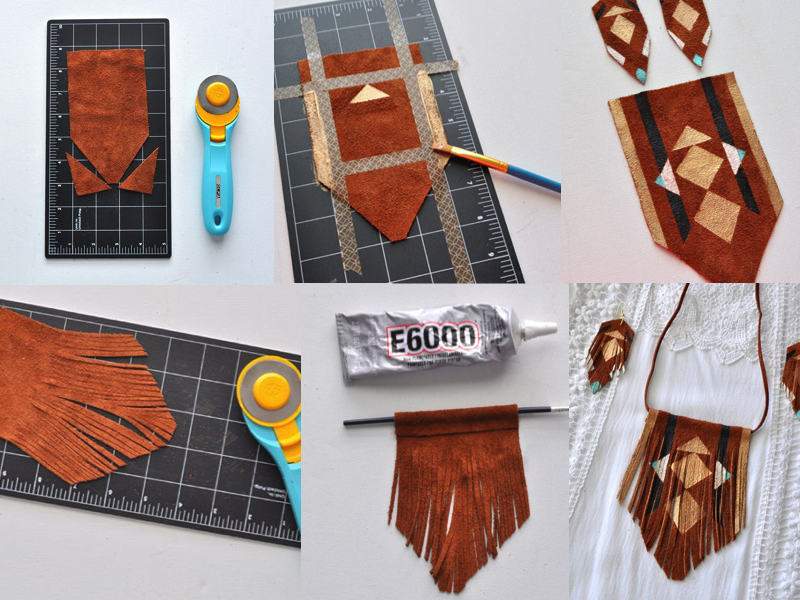 We have got you covered with some DIY simple ideas to make your own fringe piece. 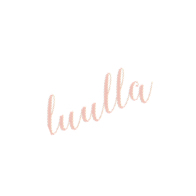 Just follow on with me here to be sure not to miss any cool ideas out. For the first one, we shall go with the basics of getting a fringe done. This is really simple. Basically can be summarised with two words: cut and spray. And you are all done! But first, get one simple tank top to get started. Go search through high and low your wardrobe to find the perfect piece and perform a makeover on it. First, measure the desired length of the fringe along the hem using a ruler. Then, measure the width of each fringe by spacing them to about half an inch to an inch apart and mark the points using a pen. Cut vertically from the hem of the shirt till you meet the points. Add a final touch to it by spraying the fringes with fabric dye of your choice. In order to achieve the ombre effect, add more dye to the base of the fringes. 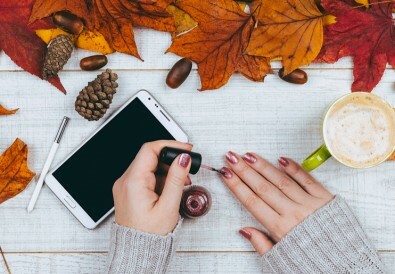 Your makeover is done with these few simple steps. 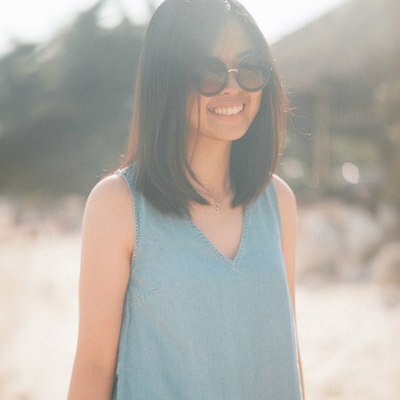 Your old tank top has turned into a brand new one with style! Want to have the fringe along the necklines instead, this is a perfect one for you. You may keep the fringe as simple as just that. Or level up a little with gold/bronze beaded detailing which gives a different effect to the entire look! Take one of the tank tops and cut both of the side seams and straps. Leaving the front and back piece. But for this, we only need the front piece. Cut out a long U ending shape from the front piece. 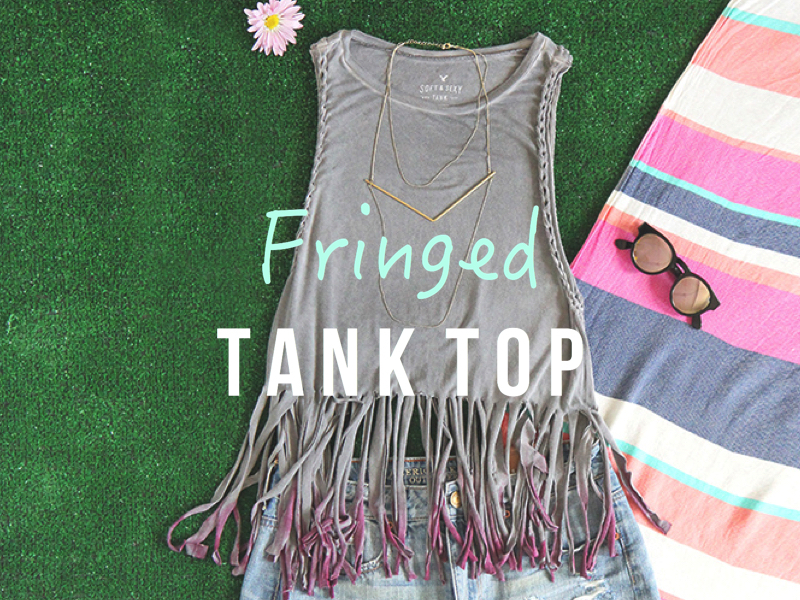 To form the fringes, cut vertically until you reach right before the neckline. Make sure they are evenly spaced. Once you are done, pull the fringes towards you to get the curling effect. Then, line and pin the bib in front of the other tank top on the neckline. Make sure both right sides facing up. Then sew it with a sewing machine using zig-zag or stretch stitch pattern. If you do not have a sewing machine, have it hand sewn is fine as well. Finally, finish off the fringe by adding some beads onto it. Take a bead and go through each fringe as you twist it. Make sure that you get beads with holes large enough to go through. And lined the bead in a V-shape for a sophisticated look. Believe it or not! 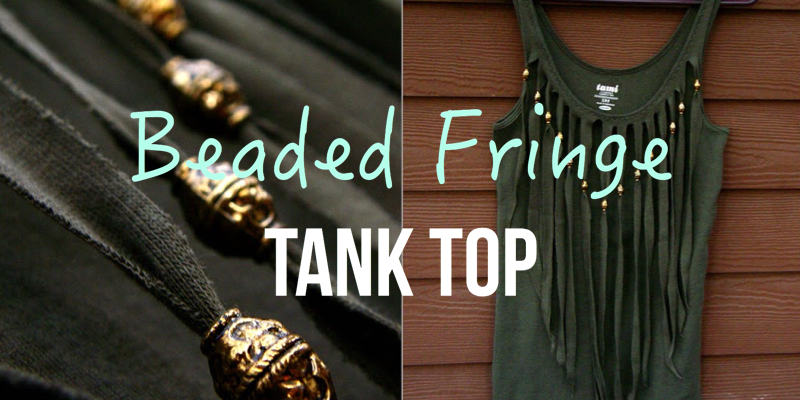 You will only need 15 minutes to get this stunning beaded fringe top done. What are you waiting for? Try it now! 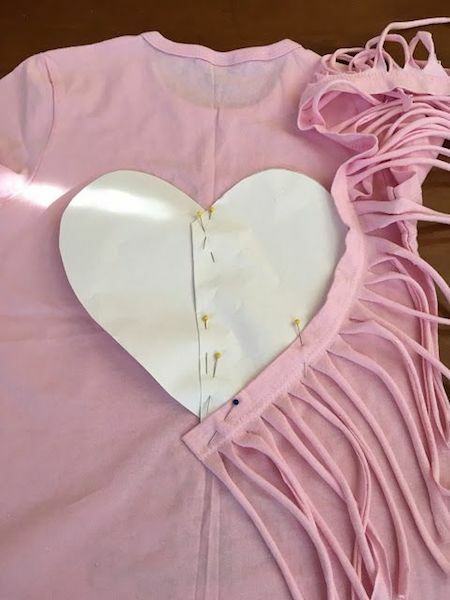 Get your love for hearts right to your shirt with this DIY fringe design. Perfect for Valentine’s day which is just around the corner. This looks great on children as well. This heart-shaped fringe design definitely gonna turn you into a lovely sweetheart. So try on with these easy steps. First, cut out a heart shape from a paper. Have a size big enough on the front of the shirt. Then pin the paper on the shirt. Another way is to trace the heart shape using tailor chalk. Now, prepare the fringe using a fabric. Any fabric will do. Have the length of the fabric about 5 inches long. Then, cut the fringe vertically about half an inch width size and leave about a half inch at the edge for sewing. 4. Finally, line the trim around the heart and top stitch. Voila! 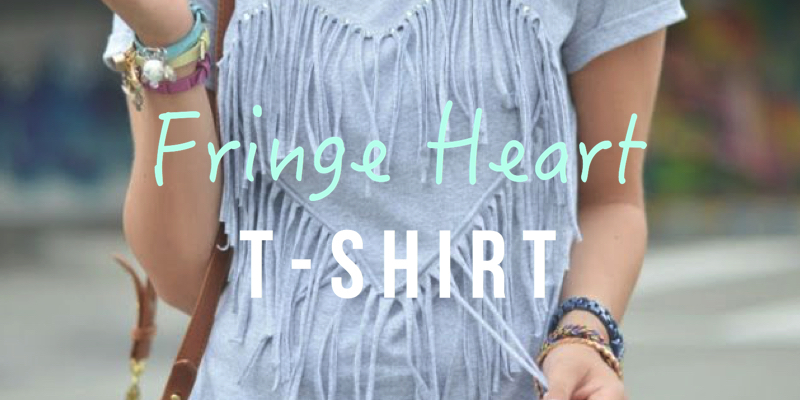 Your fringe heart t-shirt is done within minutes. So start with one now! Woohoo! Let your body move with this fringed skirt. It’s perfect as you twist and turn with this skirt on the dance floor. Totally mesmerising and eye-catching as you make your moves. 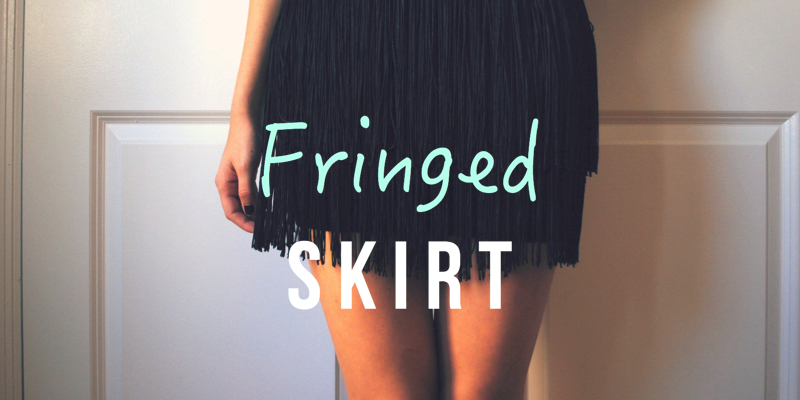 So, why not try having this and you can totally count on this fringed skirt to make a fashion statement this season! Prepare a plain black skirt. Make sure the skirt has a back zipper if it is an elastic skirt. 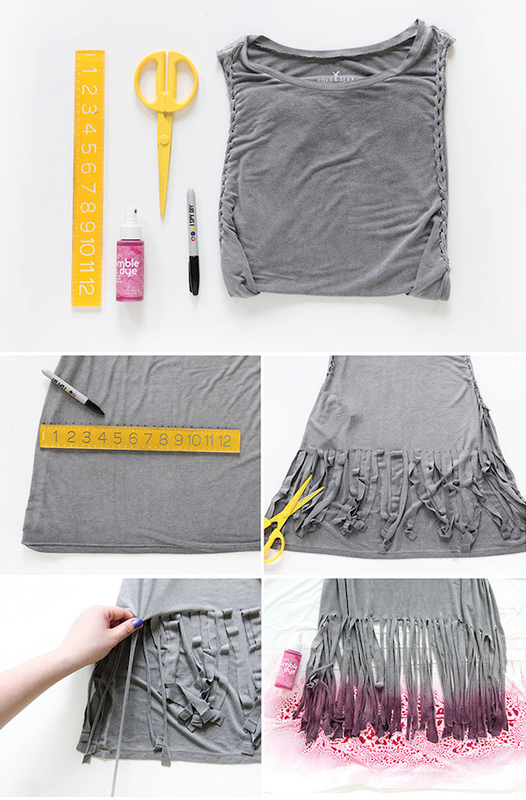 Before attaching the fringe, stretch a little of the skirt with a piece of cardboard. Then, take the fringe and measure its length with the skirt to ensure the length is long enough to go around the entire skirt. 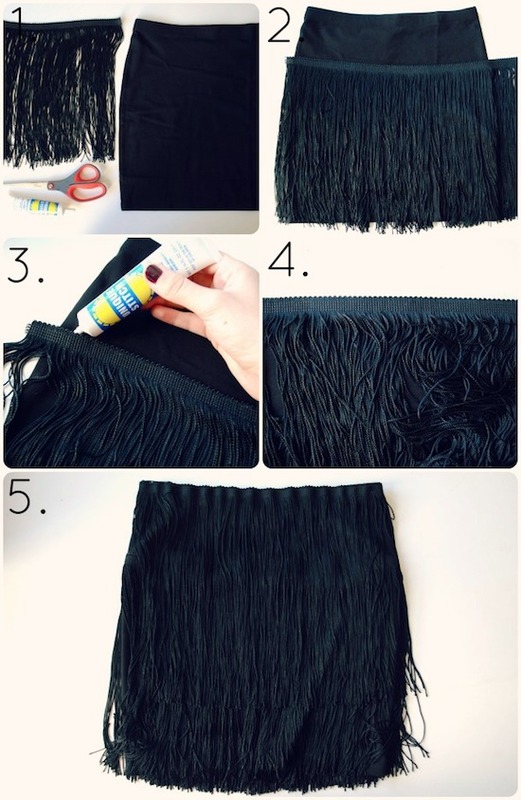 Do likewise for both the top and bottom part of the skirt with the fringe. Draw your desired line on the skirt with a pencil and ruler. 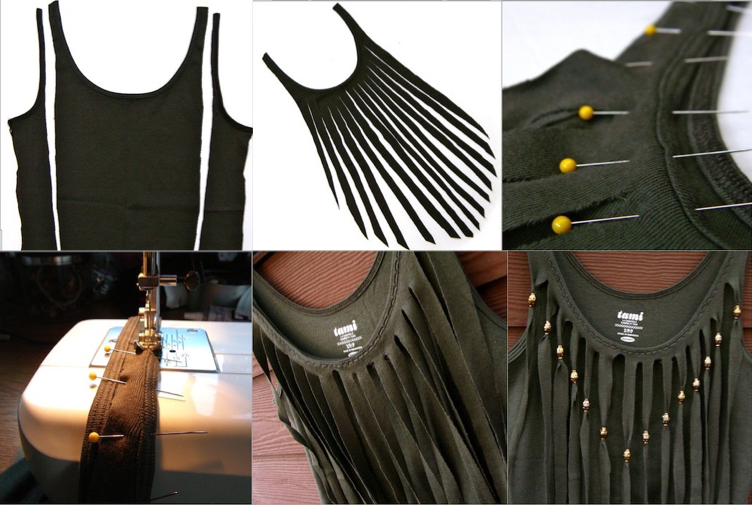 Attach the fringe by dabbing the fabric glue on the bottom piece of the fringe and stick it along the sketched line. Attach the second piece at the top of the skirt and glue it with the fabric glue. Finally, leave it dry and you are ready to make your fling bling! 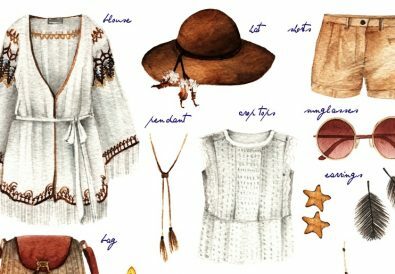 If a fringed accessory is all you need, try this! 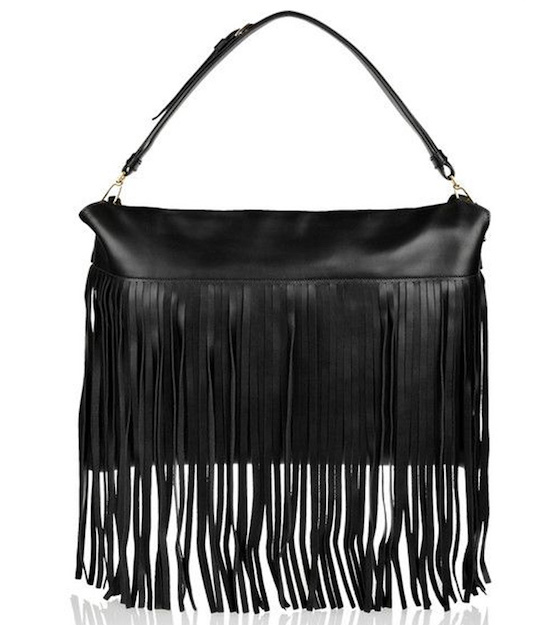 Add a little celebration and embrace the playfulness of fringe with a bag. It’ll definitely be a worthy addition in making your everyday outfits look fresh and good. Measure the fringe on the bag to see how long you want it to be. Add an inch to each side to have the fringe dangling down the bag. Cut the faux leather according to the measurements made. Then, to make the fringe, cut the faux leather vertically leaving about an inch uncut along the top. You may cut it using a ruler with a rotary cutter to get perfect even fringe width or use a pair of scissors will do. Dab a little of the strong fabric glue on the edge lines of the faux leather and stick it onto the bag. Leave it to dry and tada! The awesome fringed bag is done within a blink of an eye. 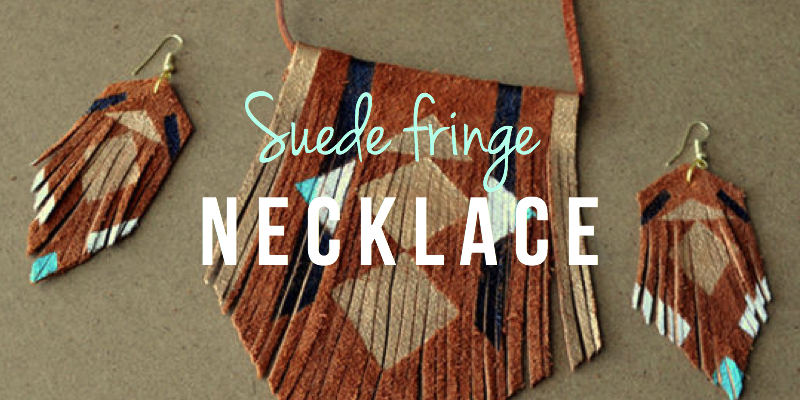 A statement necklace is all you need with fringe. If you think fringes on the top and bottom is a little too much for you, ease into the trend with a statement fringe necklace. The tingle will come naturally as you mix and match with a fringe necklace with your outfits. And soon, you will find it so versatile as a piece which elevates your style at all time. First, cut the suede leather with scissors into a rectangle shape with a size of 5.5 inch x 3.75 inch. With the rectangle placed vertically with the 3.75 inch as the base, cut two triangles sides from the centre point around 3,5 inches. You may skip to step 6 if you want to leave it plain. Otherwise, design the shape by painting it with acrylic paint. Use the washi or painters tape for a clean effect from the paint. Slice the fringe from one end to the other end. Make sure you leave about 1.5inch to 2 inch from the edge for folding purposes after this. Then, use a paint brush as a guide as you fold the top over. Dab a little of the adhesive on the folding part and press onto it to secure it in position. Let it dry completely. It’s best to leave it overnight for best results. Feed the cording through the fold and measure the length of the necklace for wear. Finally, tie the ends with a knot and that’s it! 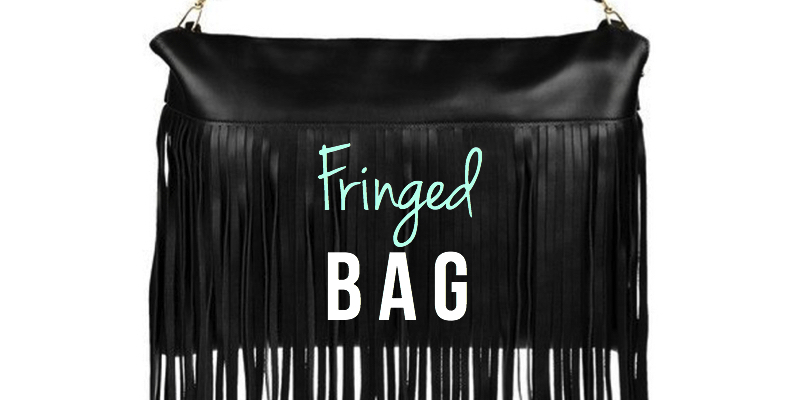 Have you got some inspirations to make one fringe piece for yourself through this list? Share with us once you have tried it. We would love to see your masterpiece! Stay tuned for cool DIY ideas from us. See you!